Play is a child’s work, and it comes naturally to kids. While we often focus on how a child’s intellectual abilities are coming along, the role of imaginative play in childhood development is often overlooked. Imaginative play comes in many forms, whether playing house during a play date or pretending a cardboard box is a magic portal to the dinosaur age. Whatever a child chooses, imaginative play expands creativity, problem-solving skills and cognitive thinking. That is why for children in the 3- to 5-year age range, it is crucial they are given access to time, space and playthings to fully experience it, says Laurie Schacht, publisher of The Toy Insider. Also helpful in the development of imaginative play are playsets that encourage open-ended, interactive experiences. Calico Critters, featuring a focus on “Nature, Family and Love," offers a variety of detailed environments, complete with a cast of all kinds of critters to engage children to explore their imaginations. The new Town Series Grand Department Store introduces a new character, Stella Hopscotch Rabbit, who works as a dress designer. It features elegant, sophisticated styling and a unified design for even more freedom with the layout. With finely sculpted areas and exquisite attention to detail, it draws children in and enhances imaginative play. To learn more about Calico Critters, visit calicocritters.com. When kids are in the 3- to 5-year age range, toys and games take a more central and productive role in playtime, says Laurie Schacht, publisher of The Toy Insider. Children reap six benefits from playtime, according to The Genius of Play, a website spotlighting the role of playtime in child development: physical, emotional, social, cognitive, creative and communication. Pretend play is where kids’ creativity can really shine, when they go deep into new worlds, ideas and characters. 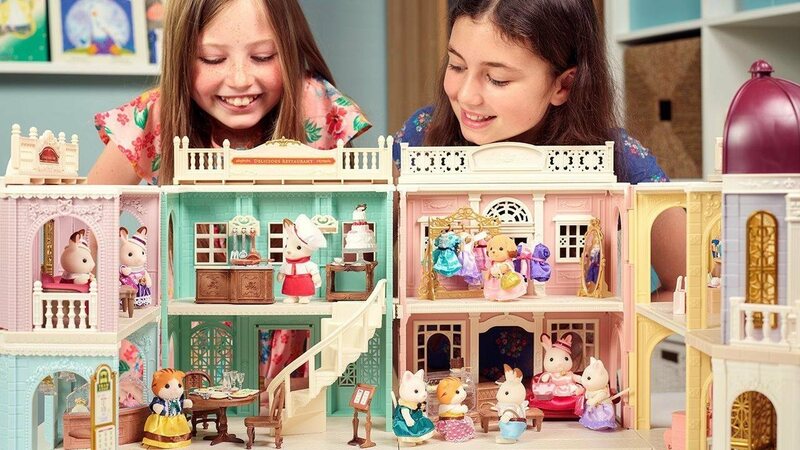 Toys that mimic the world and let them imagine and control the happenings, like Calico Critters, are optimal for facilitating this kind of play. These toys have a complete setting, like a house or a town, with a cast of characters who each have a role to play. Kids can get inspired by tuning in to 12 new Calico Critters episodes and two mini-movies being released Nov. 1 on Netflix.